Holidays with hyperactive kids that you would like to convert into geologists? Want to decorate your desk with geeky paper models of faults, unconformities and other geometrical relationships that your geophysicist colleagues don't visualise? 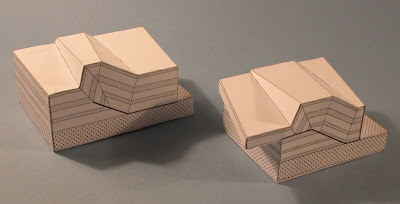 Then, why not printing some of Martin Schöpfer's paper models and spend some times building them up?